In fall 2000, four men set off on a journey to combine their individual talents and form a ministry oriented, southern gospel quartet. 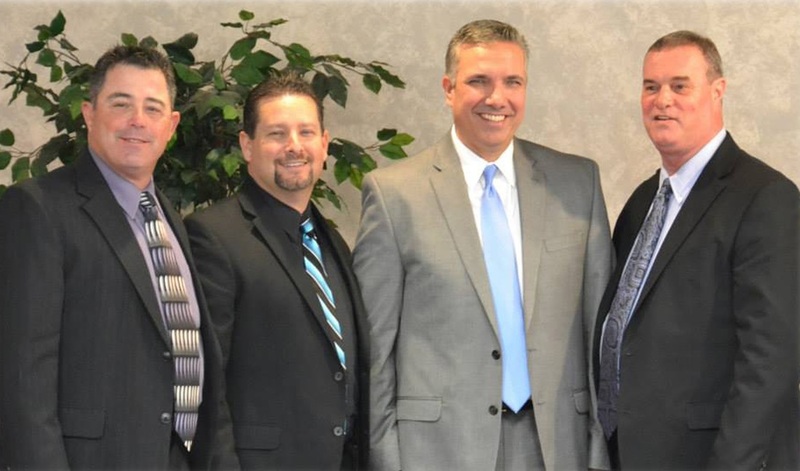 Over the years, the quartet has gone through changes, but their focus remained the same: Presenting the gospel in a fresh and exciting musical sound that will touch the hearts of young and old alike. Evangelism in any form is a pursuit of the highest calling. When a man dedicates his life to seeing lost souls come to a saving knowledge of Jesus Christ, and broken spirits restored through the power of the cross, it not only takes a great sacrifice for that man, but also his family. This sacrifice is made by the denial of oneself, putting aside his own wants and dreams, to fully surrender to God's will for his life. So when you see these four men before you, know that they are not just four men who are singing gospel songs, but they are representing four families that have given of themselves so that people might come to know Christ as their savior. Common Call's most vital and common thread is the personal relationship each member has with Jesus Christ, not just on stage singing, but on a daily basis. We're thankful that God allows us to serve Him in this ministry.